The first month of Winter has given us some really cold temperatures and a bit of snow to appreciate looking out from our windows. Spring seems far away right about now, but we can still use our words and photos to appreciate wildflowers. To keep up in the spirit of searching for wild herbs and wild flowers, each Friday we’ll publish an excerpt from the classic book, The Voice of Flowers by Mrs. L. H. Sigourney. The Voice of Flowers was first published in 1845 and I’m lucky enough to have in my possession a small, 4.5 by 3 inches, hard-bound book that was my great-great-grandfather’s. 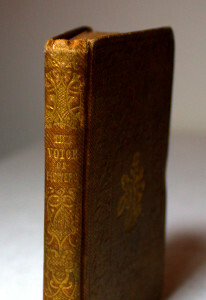 It’s the 7th edition published in 1848 by H. S. Parsons and Co., Hartford, Connecticut. 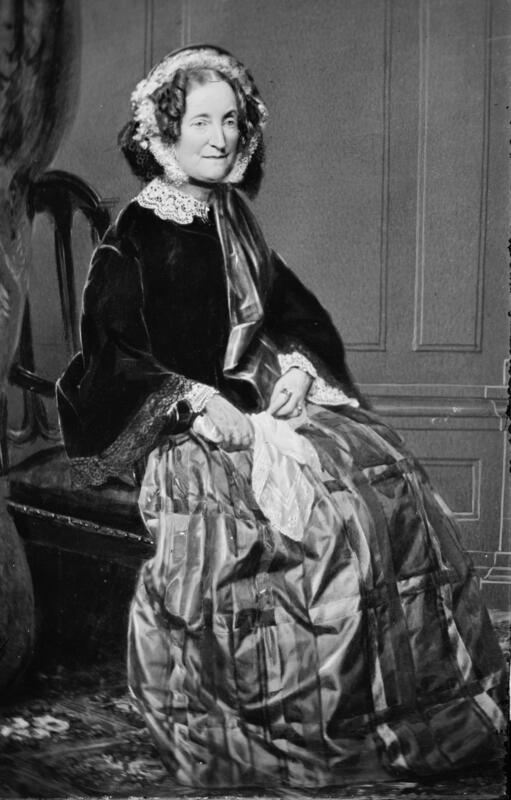 The Index gives title to 43 poems written by Mrs. Sigourney in the pre-Civil War era. In the 1840s vast changes were happening in America. The Mexican-American war gave control of Texas and parts of California, Arizona and New Mexico to the United States. Florida, Wisconsin and Iowa were admitted as States of the Union. The borders between Canada and the U.S. were decided. The California Gold Rush began and wagon trains headed West. During this time of radical change some Americans stayed in the East and put down their roots. 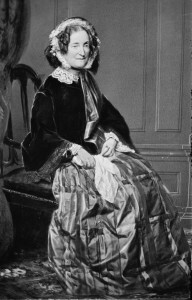 Mrs. Sigourney, (Lydia Huntley Sigourney September 1, 1791 – June 10, 1865), was born and lived in Connecticut. She wrote poetry at first for pleasure and later her writing became an occupation. Her writings touch on the way a lady of the Victorian times should act and present herself and she wrote scores of books and hundreds of articles. Mrs. Sigourney’s The Voice of Flowers probably stems from the times she found herself in. During the Victorian Era women were to be seen and not heard, instead fulfilling roles as the help-meet for their man. Society dictated that a woman’s place was in the home and part of making a nice home was to have beautiful gardens and to grow flowers for bouquets and nose-gays. Mrs. Sigourney shares her flower appreciation with us in her little book of poems. Alas, we’ll keep looking toward Spring and we look forward to our Flower Poetry Fridays with Mrs. Sigourney. I’ll be posting a new poem each week from her The Voice Of Flowers.